Volusion’s robust infrastructure, easy-to-use interface, well-designed templates, and elevated security make it one of the most reliable hosted e-commerce solutions on the market. Managing your inventory and processing orders are usually simple tasks, but sometimes you’ll encounter a situation that’s unique to your business that this platform won’t have a solution for. That’s where we come in! As a Volusion Expert Company, we can help you create custom functionalities that enhance the shopping experience for your customers, increase your profits, improve your revenue stream, and help your business run more efficiently. We’re also available for consultation on anything e-commerce from developing custom solutions for the Volusion platform to business operations. You can choose to work with any Volusion Partner, but Optimum7 actually understands e-commerce operations and structure deeply. We’ve built literally hundreds of custom functionalities for Volusion online stores that improve conversions, user experience, streamline backend functions, and grow your business. Need help with your Volusion site? With over 15 years of experience building eCommerce websites for our Volusion clients we have built web pages from ground up equipped for all types of industries. On average our clients experience an increase of 50% in website traffic. Optimum7 has worked with a small businesses to Fortune 100 companies to increase conversions, traffic, and navigability for their custom Volusion Stores. First Uniform provides practical and stylish medical uniforms and scrubs to hospitals, laboratories, and private practices. First Uniform was looking for a way for customers to add their own custom logos, monograms, and embroideries to their uniforms (with pricing to match). When they discovered there was no out-of-box solution to meet their needs, they turned to Optimum7. The Custom Monogram and Embroidery functionality allows clients to personalize their uniforms with their own logo and text scripts. Customers can change the position and placement of the logo, font of the script, and other variables to create a uniform that’s on brand and looks great. We have been working with Optimum7 for over a year now and they have been instrumental in helping us to make our website integrated with all our customer’s specialized needs. One of the biggest challenges was integrating a system that would allow our customer’s to use their ability to charge to a hospital employee account. Optimum7 integrated a system that allows us to upload a file that in turn will create an account that the hospital employee can access with their credentials and activate the account so they are able to use payroll deduction as one of their payment methods. Being able to offer this payment method and system to verify the employee’s status has increased our online sales almost double from last year and we are anticipating that we will even double this year again. CEO & FOUNDER, FIRST UNIFORM INC.
SchoolOutlet.com is a wholesale retailer of educational furniture and supplies who has been a longtime client of Optimum7. With thousands of similar products in their inventory, SchoolOutlet.com needed a way for its audience to find what they needed, quickly. Optimum7 created the advanced search and filter functionality that is fast and accurate for every product category. This functionality makes it easier for customers to search for the specific products they are interested in. We also created aesthetically pleasing filters on certain pages to improve User Interface. We are more than pleased with the custom programming that Optimum7 has developed for our company.... Over time our confidence and partnership with their team has grown to the point we have asked Optimum7 to work on projects that are core to the success of our company. Optimum7 has redesigned our website, developed custom advertising and search modules for our site, optimized our quoting process, and programmed systems to simplify and automate our accounts receivables. These projects have allowed us to shrink our quote to cash flow cycle time from 90 days to 60 days and set us up for future growth. At a time when small businesses have to compete harder everyday to remain relevant, it is important to find good partners who can help you get you where you need to be. We consider Optimum7 true partners of ours in business and I highly recommend them. 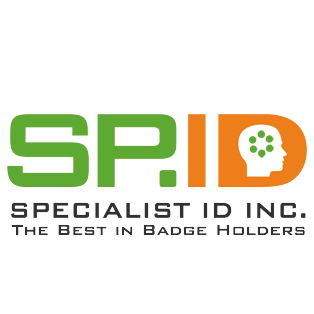 SpecialistID is a wholesale seller of ID badge holders, lanyards, and other related accessories. When SpecialistID approached us to create the option to customize particular products, we worked with them to create a solution that made the process simple, intuitive, and looks good on the front end. Our in-house team of developers and designers were able to create a functionality that allowed users to customize their products with a live, in-browser preview. Optimum7 has been able to integrate a product customization feature to show our customer a preview of their custom designed product before adding to cart. This has been an invaluable for both us and our customers. 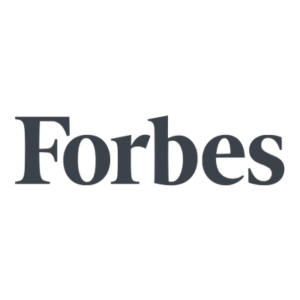 They really took ownership of the entire process and have proven to me that they have the “chops” to consistently drive business results for my company. Its great to have a strategic partner like Optimum7 as they have freed me to focus on other key areas of my business with the confidence and the peace of mind that I will continually be improving my online presence and business. Need a custom feature for your Volusion Store? Are your product pages not converting visitors? Are you seeing high bounce rates on your site? Our team of front-end developers and eCommerce specialists are well-versed in the art of CRO (Conversion Rate Optimization). With CRO, we diagnose where your users are getting stuck or dropping off and optimize those pages to ensure a smooth user friendly experience. We also have created custom features for Volusion sites, such as pre-checkout upsells, that can increase conversions and other important metrics such as Average Order Volume. Studies have shown that web design is the most important factor when an online visitor is gauging how trustworthy your business is. If your Volusion website looks like it was built 20 years ago and is at all clunky or difficult to use, it may be time to consider a redesign. Not only does a bad website lower conversion rates, it also sends a message to your audience that you don’t care about their user experience. A well-designed website will help you increase your sales and improve the productivity of your digital marketing efforts across the board. Is there a third party payment gateway or application that Volusion doesn’t support that your site can’t live without? Our Volusion Development team can handle integrations with ease, ensuring that you don’t miss out on any features or payment options your audience is looking for. If you are looking to migrate to (or from) Volusion, you’ve come to the right place. We’ve helped hundreds of companies migrate e-commerce platforms headache-free. Migrating eCommerce stores must be done properly to minimize any impact on traffic, avoid store errors, and prevent data loss. Migrate your e-commerce site with us to ensure a smooth transition to a platform better suited to your needs. We start with analyzing your business and creating a plan that makes sense for your needs and budget. We’ll set up an execution schedule for your development project to ensure it is done as efficiently as possible. Within your branding guidelines, we’ll start delivering testable mockups to ensure w’ere on the right track. Our designers and developers provide on going support to ensure your project is built to your vision. Volusion offers 24/7 customer services, built-in SEO tools, and thousands of web designs to build on. This is why Volusion is one of the most popular e-commerce platforms to date, getting their customers over $28 billion in online sales. Unlike many other e-commerce platforms, Volusion does not charge you transaction fees for product sales. This is money right in your pocket you- something I am sure all business owners can appreciate. Earn all of your profits by using Volusion and track your sales right on your dashboard with their easy to use reports. Volusion is seen in high regard across all e-commerce platforms due to the extensive inventory management capabilities of the platform. You can see how many items you currently have in stock and compare this list to the number of items you had in stock in a previous period. With inventory reports, you can keep track of your top selling products and highest valued categories. To top it off, Volusions offers a “suggested products” feature where your customers will see any related products they have looked at recently right on their page. This feature improves your inventory turnover and increases your profits. Unlike its competitors which use third-party integrations for the same function, you can have it build into your Volusion store. Is Volusion good for small businesses? Volusion is a great platform to start with, especially if you are new to designing websites and want to minimize costs. A key selling point of Volusion for small businesses is the amazing training videos the e-commerce platform offers. The videos will show you step-by-step instructions on how to set up your dashboard and start creating the website of your dreams. In addition to the training videos, Volusion also offers an entire library of topics you can research to help you build a personalized eCommerce store. To ensure you get the best for your buck, Volusion’s dashboard has several reports right on the dashboard. You can see how your orders have fluctuated in the past months, your top selling products, top 5 categories, and analyze trends. With this information, you can make business decisions wisely with data to back it up. What are the best features Volusion has to offer? Volusion has you covered in all areas of design, marketing, product creation, shipping details and more. Does Volusion have build-in responsive themes? Your website’s design will be the first impression your customers will have of your company, a responsive theme can cater to user’s on all types of devices because it is configured to adjust according to the site visitors phone screen or desktop. Luckily, Volusion offers numerous free responsive designs and hundreds of premium responsive designs for a more personalized website. You want your company website to be ultra user-friendly with products, categories, and checkout pages displayed well. As one of the most popular e-commerce platforms, Volusion does lack some key factors of a successful e-commerce website. The platform does not allow owners to create a blog and a blog is one of the best ways to constantly create fresh new content on your website. Google’s algorithm takes into consideration how old your content is, therefore, if you are not creating new content your SERP ranking will go down. Not having a blog on your site makes it extremely difficult to constantly put out new content. In addition, Volusion does not come with an SLL certification. An SSL certificate is a tool that ensures the safety of sensitive data, this usually relates to personal identification and credit card numbers. In order to get SLL certificates, companies must purchase them for an extra cost. Most e-commerce platforms nowadays come with this included in their packages. These factors paired with its limited design capabilities, confusing pricing structure, and many other factors have lead many eCommerce owners to choose other options for their eCommerce platform. Unsure if Volusion is right for you? Let the experts at Optimum7 help you through the decision. Want to Start a Development Project with Volusion?